Thredbo Blues Festival 2016 line-up announced! Fresh off the back of an outstanding season of winter headline acts, The Preatures, The Rubens and Gang of Youths, Thredbo’s dream run of musical talent continues into summer, as the alpine region announces one of the most celebrated Blues festival line-ups to date. 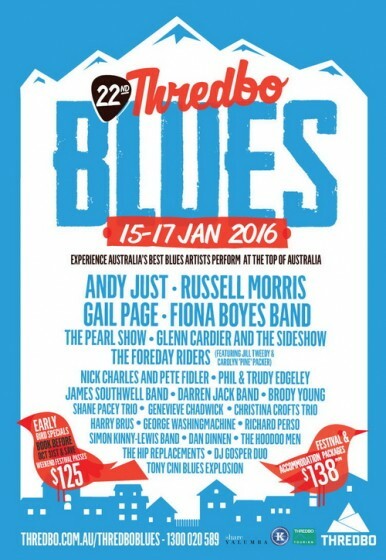 Featuring twenty-five of Australia’s greatest blues acts including Russell Morris, Andy Just (USA) and Gail Page, the family friendly resort proves its offerings are just as impressive when the snow has melted. From 15th to 17th January 2016, Thredbo will be thriving with Blues fans and their families, as the event highlights the region’s year-round offering. 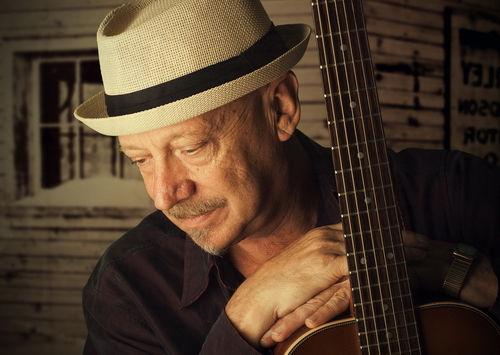 This summer, Thredbo is also pleased to announce the return of Aria Hall of Fame inductee, #1 selling artist and Australian Icon Russell Morris, back due to popular demand. In contrast, this year’s event will also feature Thredbo Blues first timer and one of the hardest working musicians on the blues scene today, the spectacular Andy Just. Set to showcase many of Australia’s top ladies in blues, including Fiona Boyes who has received four successive USA Blues Music Awards nominations, The Voice’s Gail Page and powerfully raw songstress Genevieve Chadwick, Thredbo Blues is one not to be missed. Thredbo Blues is also excited to welcome The Pearl Show to the stage for the first time in 2016, offering a vintage funk tour delving into the music, obsessions and passions of Janis Joplin. Celebrating a woman who exploded onto the music scene in the late 1960’s to quickly become the queen of rock ‘n’ roll and mother of thrift shop vintage funk, fans will re-live Joplin’s rebellious lifestyle and her distinctive voice with the group’s powerful renditions. “This year, we have combined Blues veterans with up-and-coming players, covering acoustic, electric, Blues and Roots, and I feel we have arrived at a superb blend. We are also proud to showcase the cream of Australian women Blues players,” said Stewart Wauchop, Artistic Director for the Thredbo Blues Festival. “Each year we receive applications from many super Australian Blues players and have to make the tough decisions about who will perform. This year has been no different. The hard part done, now we can sit back and enjoy a weekend of Blues partying at the top of Australia – beautiful Thredbo,” said Wauchop. As a fan of the festival and region, the sassy and soulful Andrea Marr is excited to be heading back in 2016. “Thredbo Blues Festival is easily one of the most unique and special experiences in Australia. The people are amazing, the food is amazing, the view is unbelievable. I’ve had the honour of playing here quite a few times and Thredbo rocks; I Love, love, love it,” commented Marr. Festival favorite Harry Brus confirmed the feeling is mutual when it comes to celebrating Thredbo Blues. As Australia’s only true year-round alpine resort, Thredbo’s also offers a huge variety of summer activities, such as the opportunity to reach the top of Australia’s highest peak, the stunning Mt Kosciuszko, ensuring visitors to the iconic blues festival can make the most of their trip. Music fans can save on the Thredbo Blues Festival when they book a festival package before 30th October 2015. As part of this fantastic opportunity, fans can enjoy accommodation in Thredbo Village, close to all the festival action, a 3-Day Thredbo Blues Festival pass and scenic chairlift rides to enjoy the sweeping views of the Snowy Mountains from just $138* per person, per night. For more information about all of Thredbo Blues, the Conquer Kozzie walks and the amazing deals available, visit www.thredbo.com.au or call Thredbo Resort Centre on 1300 020 589.